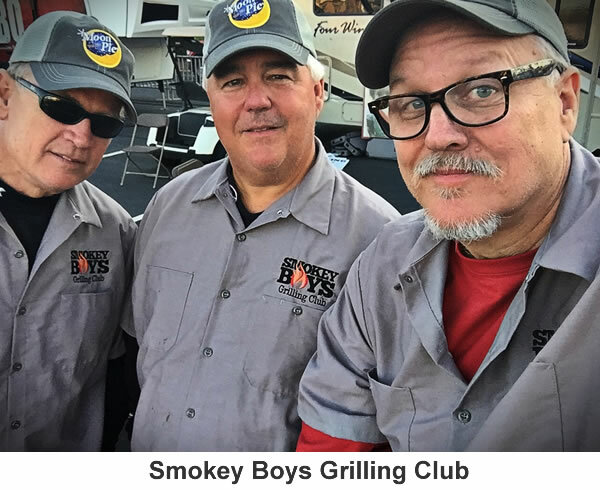 This Summer Fine's Hearth & Patio has teamed up with the Smokey Boys Grilling Club to help you improve your tailgate cooking experience. We will introduce a variety of cooking techniques on the Big Green Egg charcoal grill, Fire Magic Grill and the American Outdoor Grill. 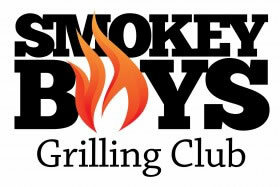 The Smokey Boys Grilling Team is based in Chattanooga, Tennessee. The team consists of Mike Gamble, Scott Elrod and Dale Forrester. Each member has an extensive grilling background on the backyard level and in the BBQ competition circuit. For 2017 they decided to step it up and test their skills at some Kansas City Barbecue Society competitions. This years first competition was at the Sip & Swine BBQ Festival in Lawrenceville, Georgia, an officially sanctioned KCBS event, where they had a top ten finish in pork and finished fourteenth overall with eighty three teams being entered. They followed that up with another top ten overall finish along with a fifth place finish in pork and fifth place finish in ribs at the Roman Roast on the River in Rome, Georgia. No matter how much or little you know about outdoor grilling you will be able to pick up some tips and tricks from these guys. We're only accepting 20 participants for this class so please sign up soon by adding to cart above. If you have two or more people attending simply change the quantity before adding to cart and list the names in the comment box before confirming order. Hope to see you soon. Price: $10.00 Per Person (All Food & Drinks Included) Plus get 10% off all grills and accessories.